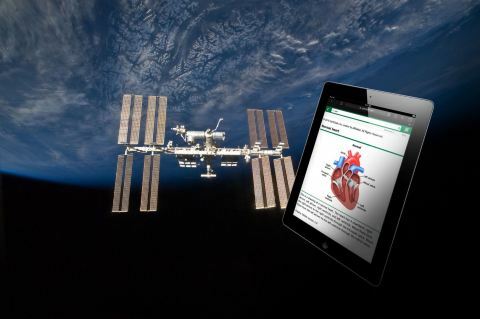 WALTHAM, Mass.–(BUSINESS WIRE)–Wolters Kluwer, Health today announced that the National Aeronautics and Space Administration (NASA) is piloting the use of UpToDate® on board the International Space Station (ISS). Approximately 90 percent of academic medical centers in the U.S. and more than 36,500 hospitals and institutions worldwide trust UpToDate to improve patient care. It continues to be the only clinical decision support resource associated with shortened patient stays and saving lives.1 To learn more about this research and more than 80 research studies confirming the widespread usage of UpToDate and its association with improved patient care and hospital performance, click here: https://www.uptodate.com/home/research. The company provides expert solutions – a combination of deep domain knowledge with specialized technology and services – that help professionals navigate change, solve complex problems, and deliver impact in their respective fields.